Blue Vein – New Painting. A macro view of rocks. This work is called Blue Vein. It’s a new work in the landscape section where you can find its details. 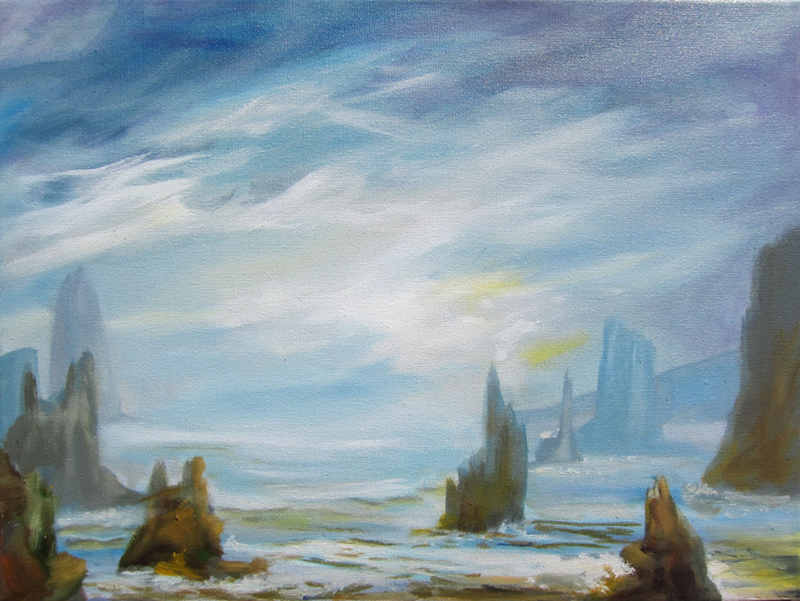 It is a macro painting of some rocks located near Coffs Harbour. The blues and oranges in create an interesting push and pull in an otherwise flat painting. The surface is littered with interesting shapes and lines, crevices and bulges which sweep across the surface. 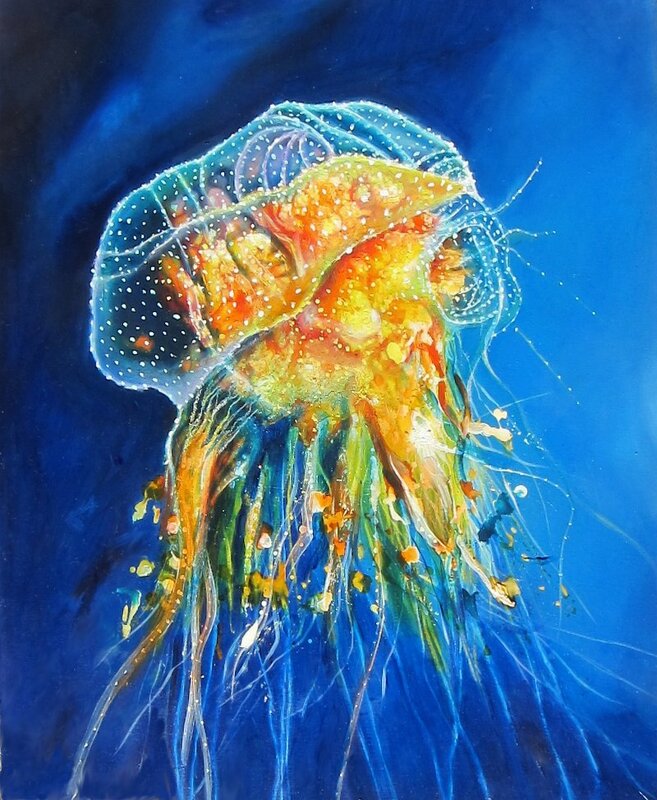 Blue Vein is painted in oils and uses broad colours which come close to primary colours. There are few greys in Blue Vein. Realism is sacrificed and replaced with motion and pattern and line. 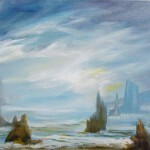 The landscape painting can be a vista incorporating aerial perspective in order to create the illusion of depth. However this painting chooses to depict a small flat section of rock becoming more of a portrait of a section of rock on the surface of the Earth. The workings of the sea are evident in the pock holes and interesting patterns running across the surface. The work is small and intimate. It is taken from a spot near Digger’s Beach north of Coffs Harbour. There are numerous spots near Digger’s beach similar to this one. Blue Vein is typical of the type of rock formation present near this popular swimming and surfing beach. 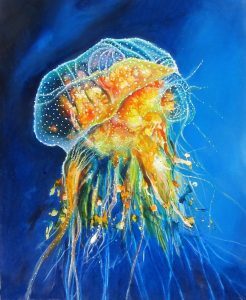 This entry was posted in Uncategorized and tagged australian marine paintings, Blue Vein, landscape, marine, seascape on October 12, 2013 by Lenny. Here’s a small landscape I’ll be putting on the site in the next few days. This entry was posted in Uncategorized and tagged chinese landscape, landscape, marine, mist, painting, seascape, sketch on October 25, 2012 by Lenny.